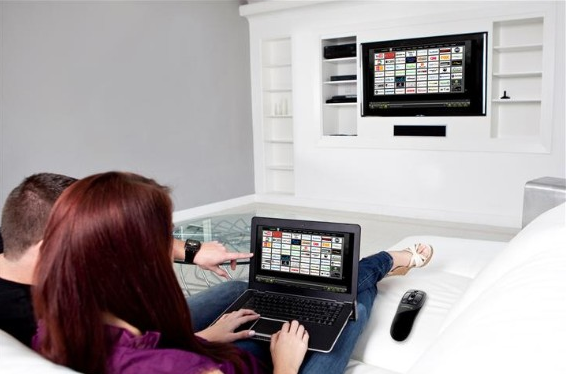 Warpia, a premier technology brand dedicated to delivering intuitive connectivity solutions, announces WarpiaTV, a PC to TV connectivity solution featuring a Wireless Motion Controller and icon based video browsing software. 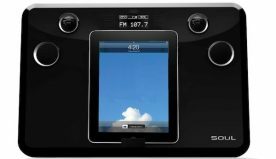 Users can stream their favorite sports, news, entertainment and HDD content wirelessly from up to 30 ft. away while maintaining complete control of their content via the included Wireless Motion Controller. In addition, the icon based browser makes viewing content from the Hard Drive as well as popular Internet video sites quick and easy. WarpiaTV Wireless Edition enables users to stream any content from their notebook or PC wirelessly to an HDTV in 1080p full high definition resolution with stereo audio. Hard drive content such as streaming video, pictures, movies and presentations as well as Internet content such YouTube, Facebook, Twitter and Netflix can be shown on your HDTV without the hassle and clutter of wires while you continue to use your laptop screen to surf the web, check email, and more. The new WarpiaTV Browser powered by Kylo simplifies PC and internet viewing on your television with a customized icon based browsing guide to the most watched internet sites like Pandora, Netflix, Amazon, YouTube and more. The included Wireless Motion Controller provides the ability to control the PC Mouse and seven PC functions including, volume, mute and escape. With Hillcrest Labs Freespace® technology, the user doesn’t need to point the controller at the screen for basic control functions such as volume, mute and escape. Freespace® technology allows the user to hold the Wireless Motion Controller in the position that is the most comfortable for him/her. For web browsing and cursor placement, simply point the Controller at the TV and the curser moves on the screen, allowing the user to experience the latest technology in PC to TV navigation. WarpiaTV Wireless Edition includes the Wireless Motion Controller, WarpiaTV Browser, HDMI cable, wireless USB receiver, wireless USB PC adapter, quick start guide and installation CD. WarpiaTV is also available in a wired version for a lower price. 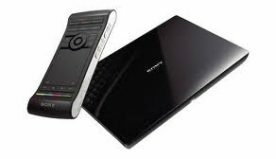 The wired WarpiaTV version includes the Wireless Motion Controller and WarpiaTV Browser, along with a 6ft HDMI cable to connect a laptop to the TV. 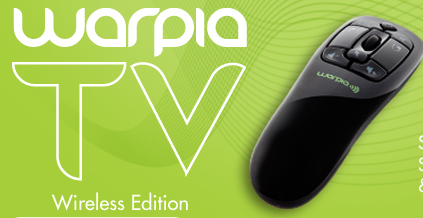 The basic WarpiaTV is available for $79.99 and WarpiaTV Wireless Edition is available for $199.99 at www.warpia.com.